Helping shelters and the animals they house is an important part of fighting animal cruelty and ensuring that all animals are well cared for and placed into loving homes. If you're low on dough but still want to help your local shelter, there's many options available that don't involve your wallet. The abandoned animals will benefit greatly from the donation of your time and talents, and you'll likely find hands-on help to be more satisfying and enriching than writing a check. 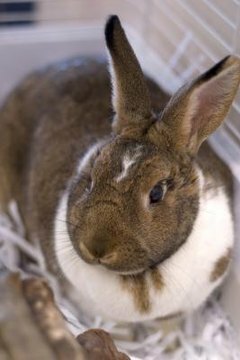 Volunteer your time by cleaning rabbit or bird cages, helping at fundraising events, answering phones or updating information on the shelter's website. Most shelters and rescues have a long list of volunteer needs. Speak with shelter personnel to determine the best fit. Donate household items or gently used pet supplies. It's always wise to call ahead or check the shelter's website to determine what they need before you gather and drop off a donation. Shelters have limited space, and some may not appreciate a donation of two large cages if they already have more than enough. Paper towels, simple animal toys, hand sanitizer and basic cleaning supplies are usually always in need. Foster one or more pets in your home to relieve some of the burden on the shelter. Make sure you have the appropriate space, supplies and time before agreeing to foster an animal. Offer your skills and expertise. Shelters and rescues can always use your experience, whether it's as a photographer, web designer, lawyer, groomer, event planner or construction worker. Let your local shelter know what areas you have personal, professional and academic experience in so they can keep that information on file in case a need arises. Collect supplies for your local shelter by holding an event in your community, workplace or through your child's school. Sometimes shelters will announce an urgent need for one or more supplies. Print out flyers or hang posters to get the word out, and then collect donations for drop off to the shelter. Use social media to spread awareness and potentially find a home for an abandoned animal. Share photos and adoption information on Twitter, Facebook and other social media websites, and keep your friends and family updated on fundraising events and other local functions by adding the information to your website or blog.